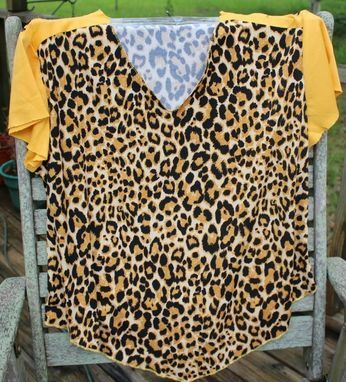 This costume is a replica ( as close as possible ) of the one that Steve Perry, lead singer from Journey, wore while in concert in the very early 1980's. It was made for a guy who was portraying him for a prom. 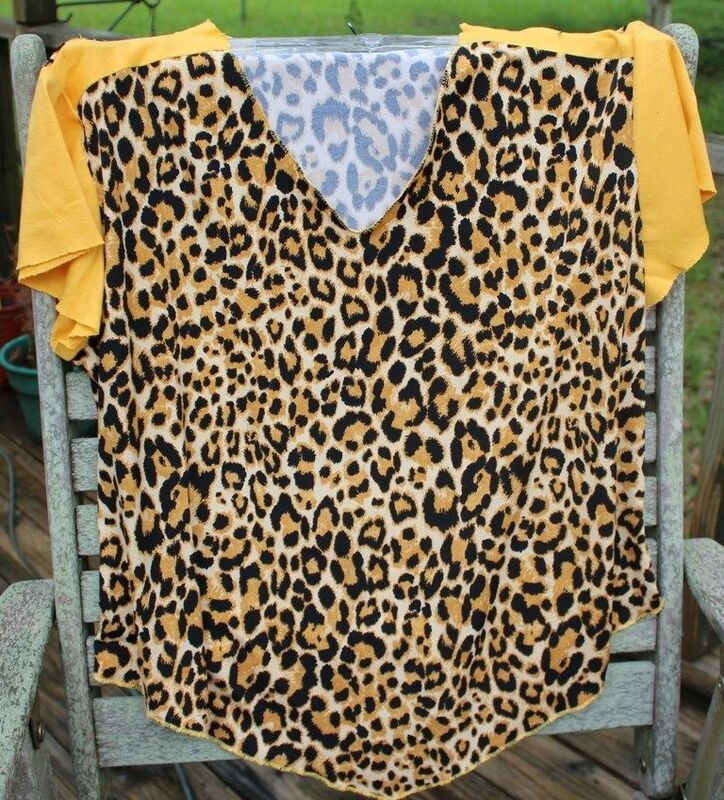 The deep yellow fabric is jersey, and the faux leopard is made with a spandex blend.